The entertainment will include a stage program featuring a variety of local acts. On Saturday, November 25th, do-it-yourself fans will have a chance to design and make their very own Advent calendar with expert help. At the same time, children can also find a creative outlet in a wreath-making workshop. From Tuesdays to Sundays starting at 6 pm, musical performers will take to the stage to liven up the festivities. Starting at 6 pm on Thursdays, a rinkside DJ will create a disco atmosphere for the skaters with the latest hits and old favorites. A highlight every Wednesday is the special program for the little ones: Starting at 4 pm they can see enchanting fairy tale performances and magic shows. Naturally St. Nicholas will drop by in person on December 6th, and on December 17th the Christ Child will pay a visit to the MAC Forum. The market will be open daily from 11 am to 9 pm until December 30, and on Fridays and Saturdays the food and refreshment stands will be open a little longer until 10 pm. On Christmas Eve the Christmas and Winter Market will close its doors at 5 pm. 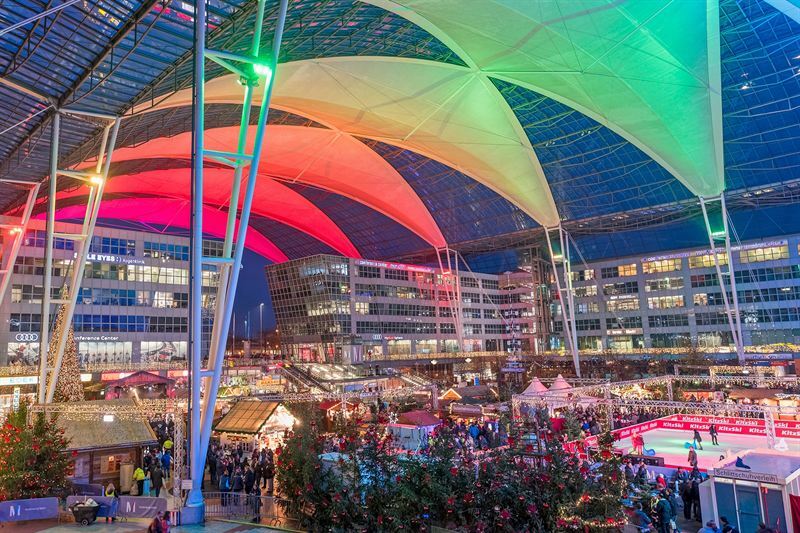 More information on the Christmas Market is available at https://www.munich-airport.com/2017-christmas-and-winter-market-til-december-30th-2736169 .